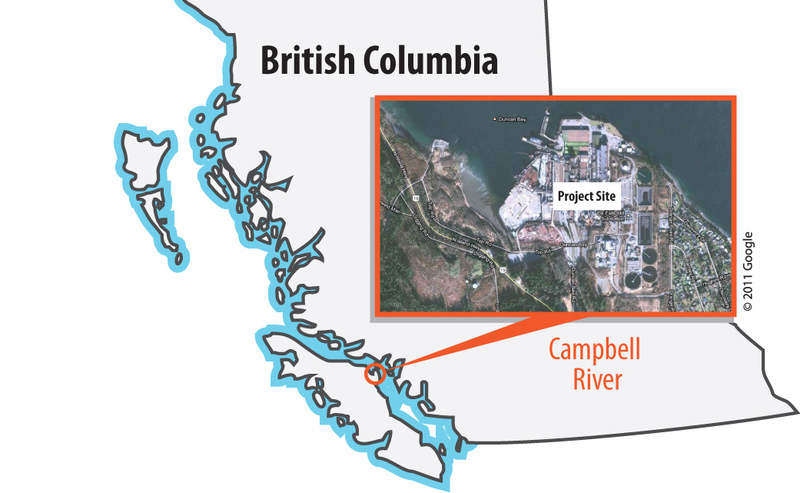 The Final Investment Decision (FID) for the proposed LNG Canada project near Kitimat, was originally expected back in July 2016, but was delayed until the end of 2016 and has still yet to be made. Recently however, LNG Canada has restarted the process of selecting a preferred prime contractor for construction of the project. The proposed LNG Canada Export Terminal is a joint venture between Shell Canada Limited, PetroChina Company Limited, Korea Gas Corporation and Mitsubishi Corporation. The estimated $23 billion–$36 billion project would include a facility with LNG storage, liquefaction, power generation and a marine terminal for the LNG to be loaded into carriers and shipped abroad. The gas would arrive via the Coastal Gaslink pipeline, and the project would produce 26 million tonnes of LNG per year at full build-out. It would employ 4,500 to 7,500 people during construction and 450 to 800 people during operations. LNG Canada received environmental assessment certificates from both the provincial and federal governments in 2015, through a substituted assessment. This means that instead of going through two separate environmental assessment processes, the project went through one process that fulfilled both provincial and federal requirements. In both cases the governments imposed legally binding conditions regarding First Nations consultation. For example, the BC Government required LNG Canada to employ First Nations workers; include First Nations in monitoring activities; and address their concerns about air quality and fish habitat. In January 2016, the National Energy Board issued an export license for the project. The project has garnered support from First Nations in B.C. throughout the proposal and engagement process. The economic spin-offs and employment opportunities that this project could bring to First Nations communities stands to be significant. 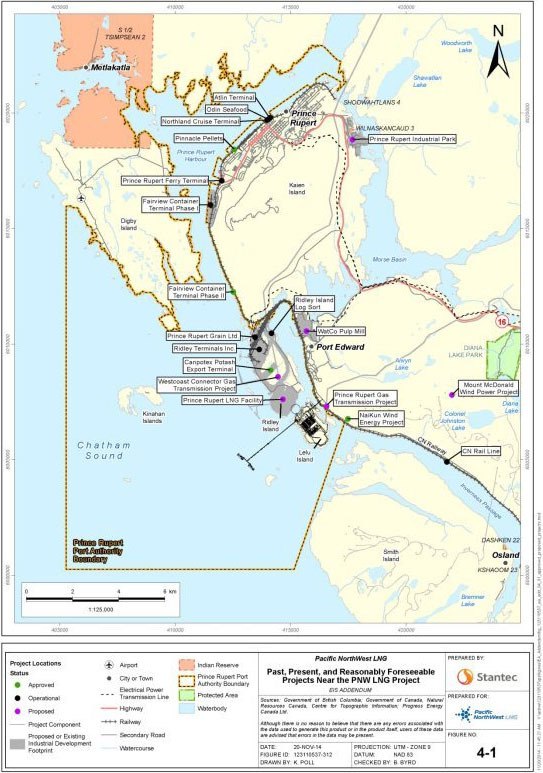 For example, early in 2016 the Haisla (in a partnership arrangement with Ledcor), were awarded a contract by LNG Canada to complete the site preparation work for the proposed project. LNG Canada also has a $1.5 million Trades Training Fund, to further apprentice training in the LNG sector. Pierce sees LNG Canada as a unique economic opportunity for First Nations to be involved every step of the way, from upstream natural gas production, to the natural gas pipeline, to the liquefaction terminals. LNG Canada has worked with each First Nation involved in order to understand and protect their environmental and societal interests, and has changed its plant design and construction as a result. “The RFP is very important to ensure we have the most competitive proposal to finalize the design and build our project”, explains Pierce. During this process LNG Canada is continuing conversations with First Nations about employment, environment and workforce training. LNG Canada’s FID was delayed due to changes in the global energy market and affordability of the large scale investment required for the project. However, as the global energy market improves and LNG Canada successfully addresses the affordability of the project through the RFP, Pierce is hopeful about an FID being made. At one point analysts were saying the surplus of LNG in global markets would not balance itself out until 2025, but now it is looking like it might happen closer to 2020, which is good news for LNG Canada, the Haisla Nation and other First Nations involved. Photo captured from LNG Canada animation video.